They have demonized Lionel Desmond as a typical example of male entitlement and bemoan the media portraying Lionel as a victim - when the lack of mental health services is central to this tragedy. Lionel was trying desperately to get help. Lionel was denied that help. The Desmond family is now dead. 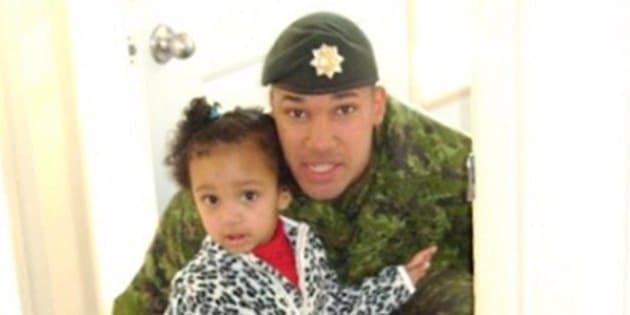 The murder-suicide in Nova Scotia of Aaliyah, Shanna and Brenda Desmond by Corporal Lionel Desmond has sent waves of despair and outrage through the veterans' community. Cpl. Desmond had been desperately seeking mental health treatment -- seeking but not receiving. Family and friends report that the corporal had received little treatment in the Forces before he was discharged, and that Veteran's Affairs and the Nova Scotia Health Authority had either denied or was dragging out access to more care. Adding insult to tragedy was watching Minister Kent Hehr on TV telling veterans that help is available and to call the VAC crisis line. And then there's people who think we should ignore that and focus on Lionel Desmond as a woman hater: Ardath Whynacht, Isabelle Côtéand Elizabeth Renzetti. All three accuse the media of bias for framing the Desmond tragedy as being about veterans' mental health. The irony is that all three are doing just that: hijacking this horrible event to promote own narratives about male violence. They are fundamentally wrong. Lionel Desmond with his daughter Aaliyah and wife Shanna in a Facebook photo. Whynacht and Côté, as sociologists, should know better than to compare the military society with civilian society. They are not at all comparable. As I have learned through my advocacy, the society in which Forces members live is very different from the one the rest of us inhabit. Forces members learn -- and believe -- that there is always "someone" who can and will take charge and sort out problems. That same unspecified individual can and will also come down hard on Forces members for the actions of their families, including their partners and children. That is the reality of that society. Members needing help get it if they just talk to the chief, or their commander, or the padre. Likewise, words are had with the Forces member if their child is acting out on base, for example, or their partner got sloppy drunk in the mess. Despite the scandals that we civilians hear through the news, there is a general perception within the ranks that the rules are clear, are known to all and are enforced. Even if they are punished unfairly, Forces members believe that the offence of which they are accused deserves penalty. The single biggest challenge Forces members face... is that our society doesn't function the way the military one does. In fact, the single biggest challenge Forces members face when they are released is that our society doesn't function the way the military one does. The differences between military society and civilian society are so fundamental that it requires serious effort to understand them. Sociologists should know that. Since there is only limited data regarding family violence in the Forces, it is impossible to compare military to civilian society in that regard, either. The commentators' points about media coverage may be generally true, but don't apply to the Desmond case. Whynacht, Côté and Renzetti all leapt to the conclusion that this was a typical example of man-on-woman violence, and they ignored facts in order to promote their agendas. That makes them guilty of the bias, not the media. Yes, violence occurred and a family wiped out, but that does not equate to the domestic abuse situation they imply. They are inferring a history of family violence based solely on this one event, then extrapolating motive forwards from that, based on their own preconceptions. They have demonized Lionel Desmond as a typical example of male entitlement and bemoan the media portraying Lionel as a victim. They even try to hide their own bias under the guise of defending against mental health stigma -- suggesting that Lionel chose to kill -- when the lack of mental health services is central to this tragedy. Whynacht, Côté and Renzetti completely ignore statements from members of the Desmond and Borden families, as well as friends of the Desmonds. Those who knew them best describe Lionel Desmond as a kind, caring person, and the family as a happy one. 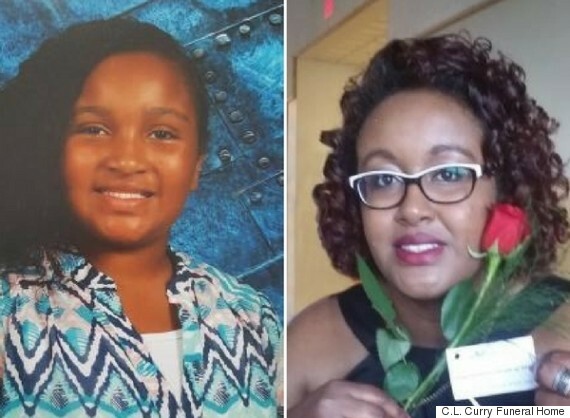 This is completely at odds with typical murder-suicides, where it is generally reported that the family has withdrawn from the outside world, have been arguing constantly, that there was escalating violence and so on. In typical cases, victims' families are quick to publicly condemn the perpetrator. Shanna's sister describes a loving husband and father who was fighting severe mental illness. This is in keeping with statements from extended family and friends. Lionel Desmond, like all recruits, was certified clear of mental illness when he enlisted. Lionel Desmond developed severe mental illness during his time in the Forces, especially related to his war service. As a result, the Forces discharged Lionel Desmond from service. Lionel was trying desperately to get help. Lionel was denied that help. Lionel was afraid of what his illness may cause; frightened enough to stay out of the family home in the days prior. The Desmond family was doing whatever it could to cope, relying on family and friends because Canada kicked this mentally injured soldier to the streets. The Desmond family is now dead. That is not speculation about male violence, nor stigmatizing all people with PTSD. Those are the bare facts of this case. Lionel Desmond, prior to his release, was posted to the Joint Personnel Support Unit -- the special unit which is supposed to help injured members and families get the help they need before discharge. The JPSU failed to do their job. The Forces failed in its responsibility to this soldier and his family. Veterans' Affairs failed this family. Could this have been prevented? We'll never know, because we didn't try. Canada failed the Desmond family. The deceased -- Aaliyah, Shanna, Brenda and Lionel himself -- are delayed casualties of war. That is not assumption or speculation. That is also a fact.